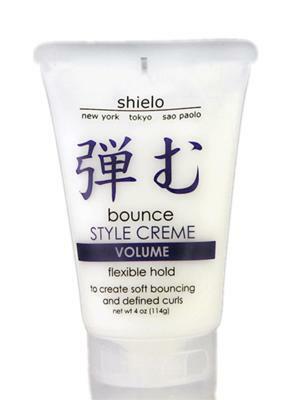 Shielo Bounce Style Cream works well in combating hair frizz which often occurs in curly hair. The blend of moisturizers, proteins and thickening agents of this styling cream will give your curls the extra boost it regularly needs to make them look revitalized, softer, and more manageable. This product has UV filters that protect your hair from the harsh sunlight thus keeping it from getting brittle. It also keeps your hair color from fading sooner than later. Just massage the cream into damp hair, then blow-dry. The cream keeps your curls in check to avoid a huge and poofy look which normally happens to curls after a blow dry. It also gives additional texture and shine without weighing your hair down. Read more on how to maintain and style your curly hair. Join in and write your own blog page! It's easy to do. How? Simply click here to return to Professional Styling Products.